On hand in Portugal to receive the award were CEO of CHAOS Natalia Rincón (second from right) and COO Paloma Bautista (far right). 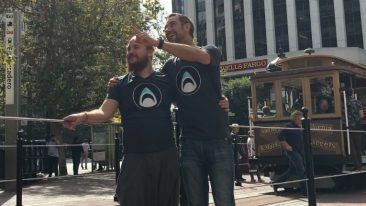 Finnish AI company CHAOS has been named as a global champion of government and citizen engagement by the World Summit Awards (WSA), an international competition founded in the framework of the UN. CHAOS is a smart city expert that provides analytics and forecasts to support sustainable urban development by combining big data and crowd insights on its AI-powered platform. CHAOS brought home a WSA Global Champion Award from Portugal. 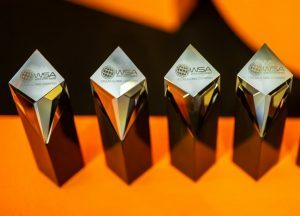 The Finnish company received the WSA Global Champion Award at the WSA Global Congress Cascais in Portugal, which focused on how digital innovations create sustainable social change and have an impact worldwide. A key goal of the congress was to connect forerunning companies driving digital transformation with international thought-leaders, ICT experts and local stakeholders to facilitate transformative knowledge transfer on a global scale. “Receiving this award and acknowledgement means that sustainable and liveable cities are not just a part of the rhetoric of today, but real actions are being made, and governments and industry players are willing to embrace innovation and integrate digital services into their daily project management,” said Natalia Rincón, CEO at CHAOS. Learn more of how CHAOS brings order to sustainable urban development in our feature article.